”There were literally thousands, coming in big and small bands like snow flurries..." And so began the mass migration into Texas. 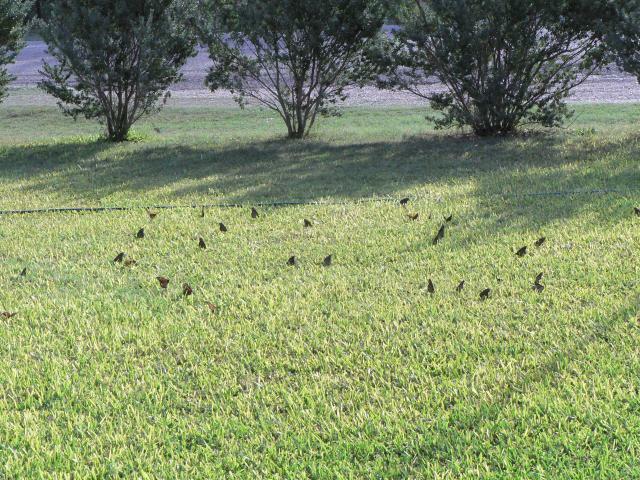 With a gentle push from the north wind, the migration began to flow into Texas this week. The average roost-size in Texas has been 1,000 monarchs so far, and numbers should build to peak over the coming week. 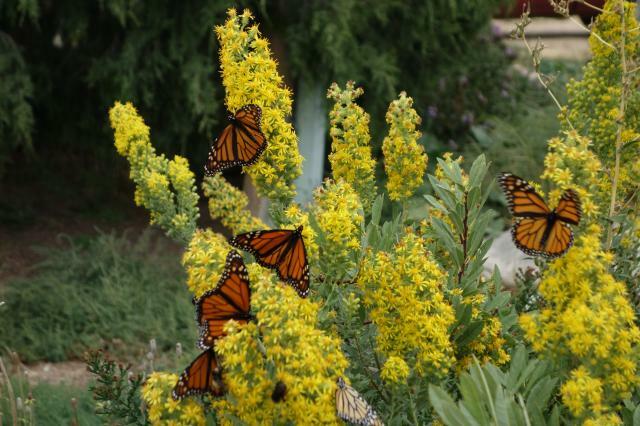 Monarchs moving down from northern latitudes are all headed for Texas. It's the only state that all monarchs must cross. The migration pathway is narrowing now and the butterflies are becoming more concentrated. 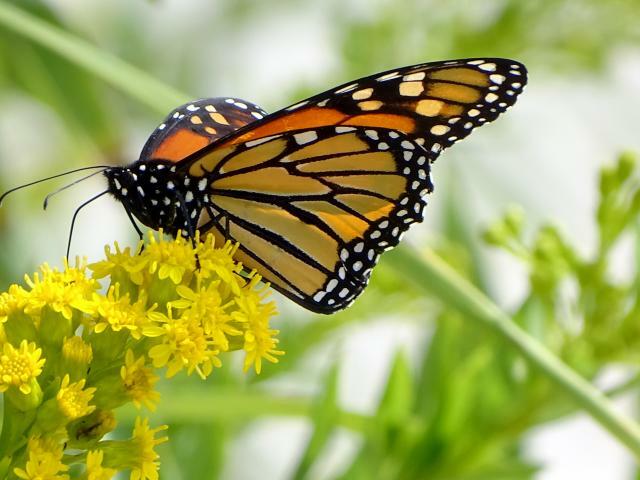 Unusually large numbers of monarchs were reported from Colorado again this week. 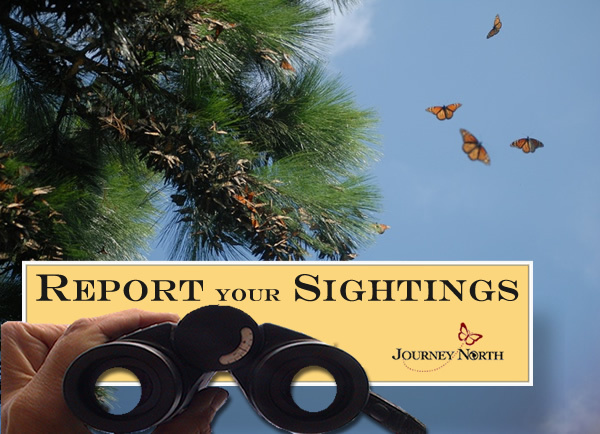 One roost contained 3,000 butterflies and another was as far west as Colorado Springs (-104°W). Persistent east winds appear to have blown the monarchs westward this fall and south winds have prevented their travels toward Texas. Mark Garland of the Cape May Monarch Monitoring program sums up the status of the Atlantic Coast migration in a word: Wind! During what's usually peak migration, almost 2 weeks of easterly winds (from the ocean) have not been driving monarchs to the Coast. Add to that the strong winds associated with Hurricane Joaquin last week and migration along the Atlantic has been only a trickle. The next cold front should sweep the monarchs southward across the Great Plains as early as Friday. Keep your eyes on Texas! The traditional arrival at the overwintering sites in Mexico is November 1st, about 3 weeks from now. Use the peak migration map to predict when they'll arrive. 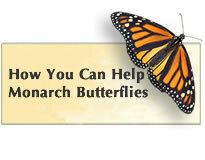 "Breeding and releasing monarchs might seem like a harmless activity, something that might even help struggling populations. 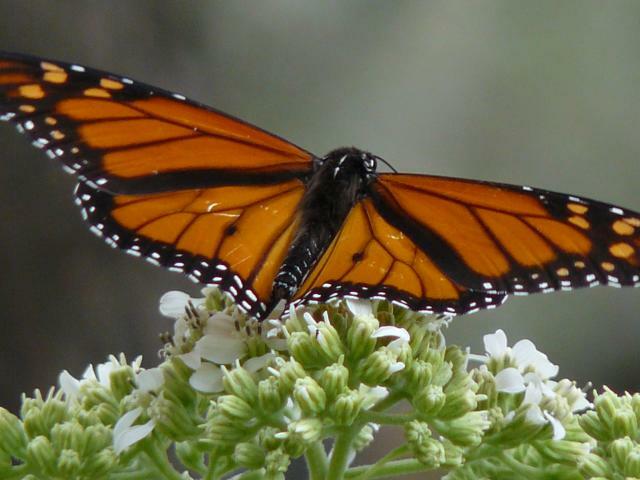 Unfortunately, the practice holds the potential to actually harm wild monarchs and disrupt research that is critical to their conservation," explains Sarina Jepsen, Endangered Species Program Director, The Xerces Society.